Baa Baa Brighouse Launches Kickstarter Campaign! Online yarn and knitting supply store, Baa Baa Brighouse, has started a crowdfunding campaign on Kickstarter to raise funds for a bricks and mortar yarn shop. 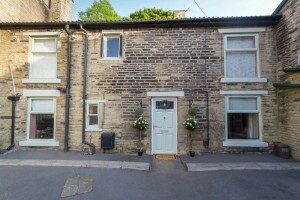 But owner, Elaine Jinks-Turner, doesn’t plan to rent commercial premises – she wants to convert the living room of her 17trh Century cottage in Rastrick, Brighouse, West Yorkshire into a shop. The building, which dates from 1602, was historically a wool shop during the 1940s, 50s and 60s and those local to Rastrick have fond memories of visiting the shop. Baa Baa Brighouse was launched as an online store in 2014. Elaine runs the business from home at 11 Church Street, Rastrick, but growth and demand means it is now ready for bricks and mortar premises. The building to be converted is Grade II listed because of its oak beams and stone fireplaces but these would remain intact and form part of the yarn shop once the project is complete. Elaine, a married mother-of-three, set up Baa Baa Brighouse following a prolonged period of post-natal depression. 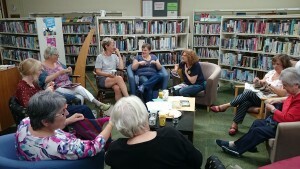 Baa Baa Brighouse led her to set up two regular Knit and Natter Groups held at Rastrick Library, Crowtrees Lane, Rastrick and in the community space at LoveBread Bakery, St Martin’s Street, Brighouse. There she met many others who had also turned to knitting because of its therapeutic benefits. 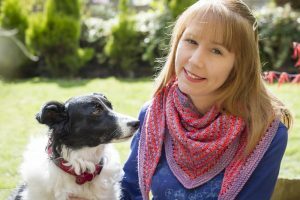 Elaine, 39, hopes the extension of her business with a bricks and mortar yarn shop will build on her community links and provide crafters with a place where they are welcome to sit and knit any time they like. The campaign aims to raise enough money to pay for the conversion including planning permission, architect’s fees and building costs but there are only 30 days in which to raise the funds. Elaine hopes local people and anyone who values a local yarn shop will support the campaign to renovate the historic site. You can find out more and donate to receive one of the many rewards Elaine is offering her financial backers by visiting her project on Kickstarter.